Paragon Brazilian Jiu Jitsu San Luis Obispo and Templeton are the premier martial arts training facilities on the Central Coast. Not only offering Brazilian Jiu Jitsu but also traditional Muay Thai kickboxing through the Elite Muay Thai Academy. All classes and training are conducted in 4,000 square foot training facilities. We provide a safe, respectful, family environment by focusing on discipline, fitness, sport, and self-defense training. We have a variety of classes, class times, and two locations to fit your training needs. Our Brazilian Jiu-Jitsu program is composed of a beginner, intermediate, and advanced curriculum making the sport easy to pick up for anybody. The Jiu-Jitsu program involves learning the better parts of wrestling, Judo, and submission wrestling for a complete grappling system. Paragon Brazilian Jiu Jitsu San Luis Obispo and Templeton are part of the Paragon Brazilian Jiu Jitsu Association. 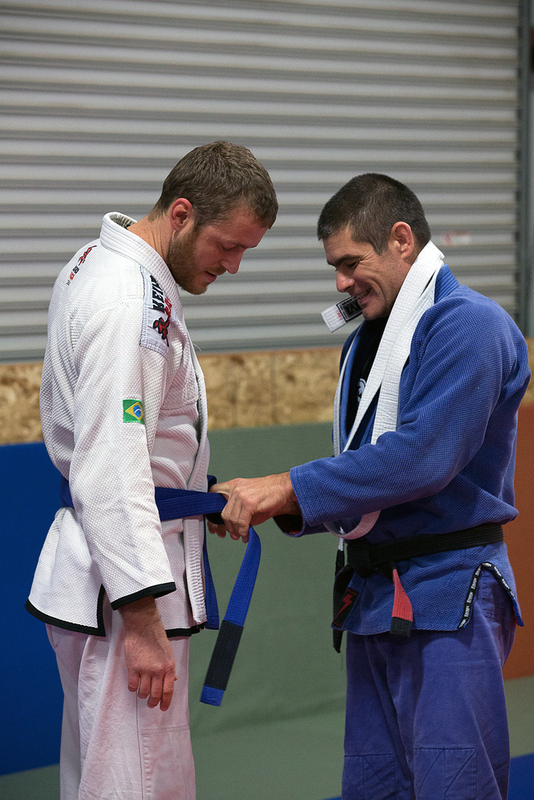 Paragon BJJ is well respected within the Brazilian Jiu Jitsu world. Paragon has produced many Pan American and world champions. As a member of Paragon you can train at any of our affiliated Paragon locations for free. With seven locations throughout the state of California, Paragon has a vast resource of experienced instructors to help you develop into a well rounded BJJ practitioner. Muay Thai is a combat sport from the martial arts of Thailand that uses stand-up striking along with various clinching techniques. This physical and mental discipline which is referred to as the "Art of Eight Limbs" because it makes use of punches, kicks, elbows and knee strikes, thus using eight "points of contact", as opposed to "two points" (fists) in boxing and "four points" (hands and feet) used in other stand up sports, such as kickboxing. Our Muay Thai program is an awesome workout involving heavy bags, focus gloves, and Thai pads. The Muay Thai class is instructed by professional coaches so you will learn proper technique to avoid injuries. The combination of Jiu Jitsu and Muay Thai Kickboxing are perfect for those interested in MMA training. 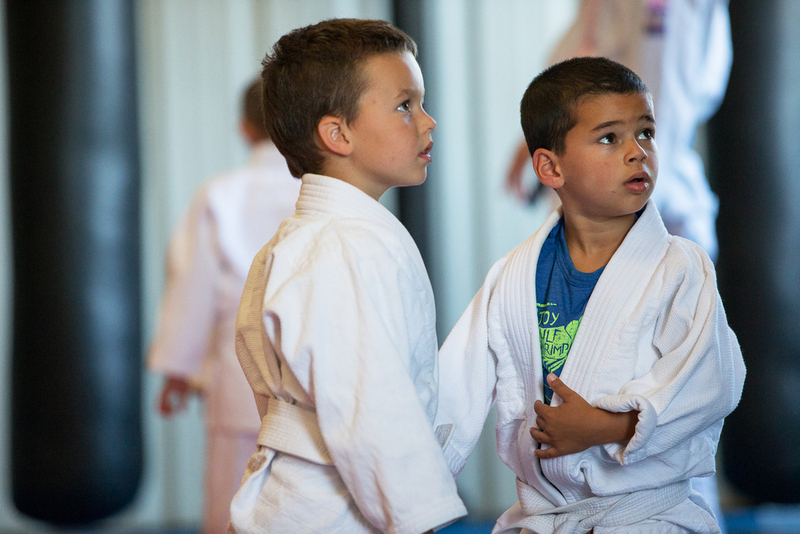 Our Kids classes are great for confidence and character development as well as bully busting. You can also learn more about Paragon's history or view the locations of other Paragon training centers. Brazilian Jiu Jitsu (BJJ) focuses on grappling and ground fighting techniques. The purpose of BJJ is to control and subdue a larger and stronger opponent through the use of superior techniques and body leverage. The emphasis of grappling rather than striking allows students to practice with varying levels of intensity, minimizing the threat of serious injury which is more common in striking martial arts. Brazilian Jiu Jitsu students practice with a gi or kimono (uniform). In no-gi BJJ, students typically wear t-shirts and shorts, instead of the typical gi. To learn more about the history of BJJ please read this Wikipedia article.